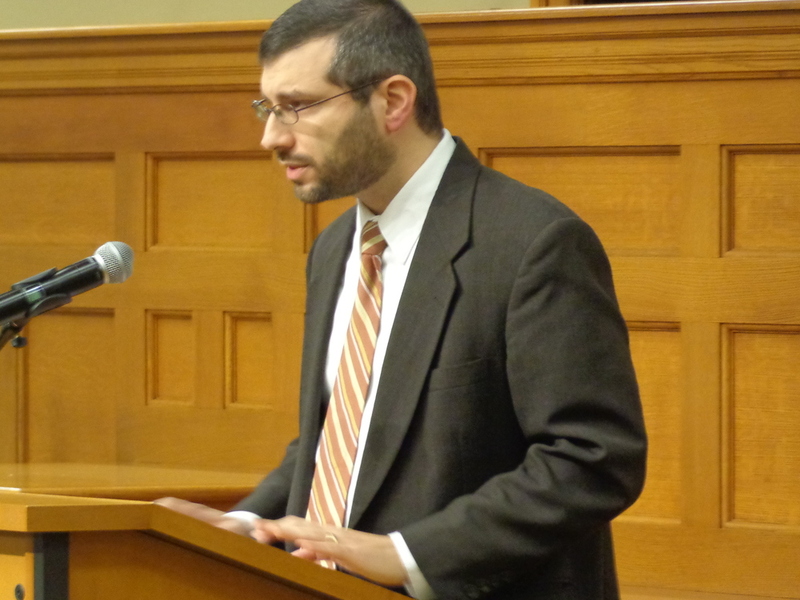 On May 7, 2015, director and founder of the Saint Benedict Forum, Dr. Jared Ortiz, was invited to give a lecture, “Raised to New Life: Grace and Divinization,” for a wonderful monthly lecture series, Authenticum, sponsored by Catechetical Foundations. 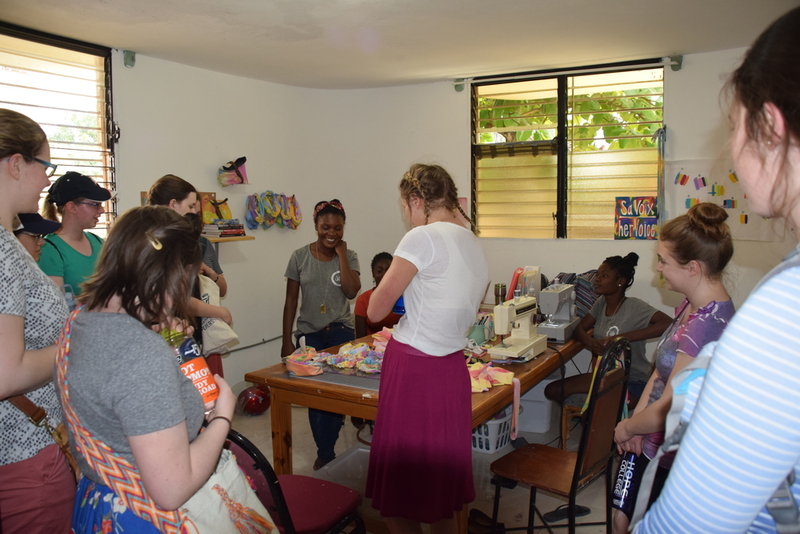 Mindful of the manifold gifts of God dispersed throughout the world, ten Hope College students and two Catholic leaders from the local parish traveled to Haiti over spring break to learn more about the beauty and wonder of God’s Spirit at work through the people we encountered. We did not travel as tourists but as guests having been invited to “Come and See.” We understood we were on mission in so far as we love those whom we come in contact with. 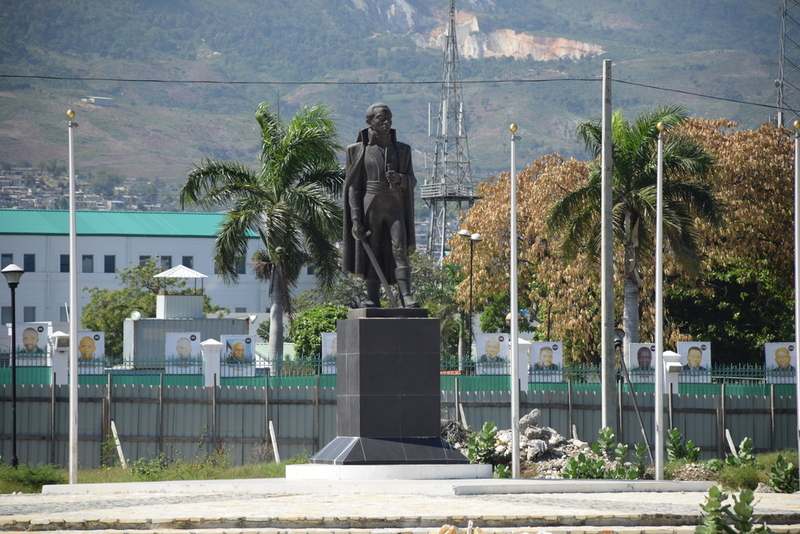 However, we did not travel as missionaries coming to bring a truth that the persons of Haiti do not know. 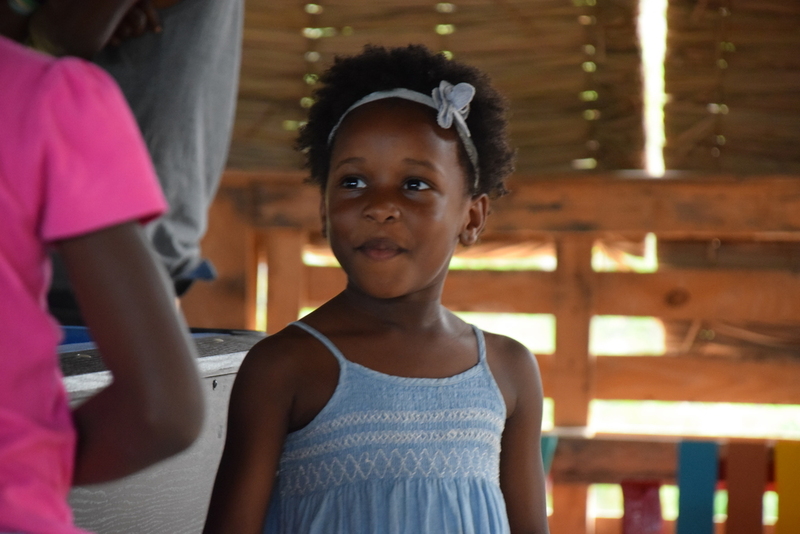 We went as students to listen and to learn from the experiences of our brothers and sisters in Christ in Haiti, about how they experience Christ in their life and how Christ gives them hope. Throughout the week, we met with orphans and sick children at the Missionaries of Charity nutrition center, the severely disabled at the Missionaries of the Poor home, the hungry at the Food for the Poor distribution center, the tireless workers at the orphanage, the talented doctors and nurses at two local hospitals, and entrepreneurs at local businesses. 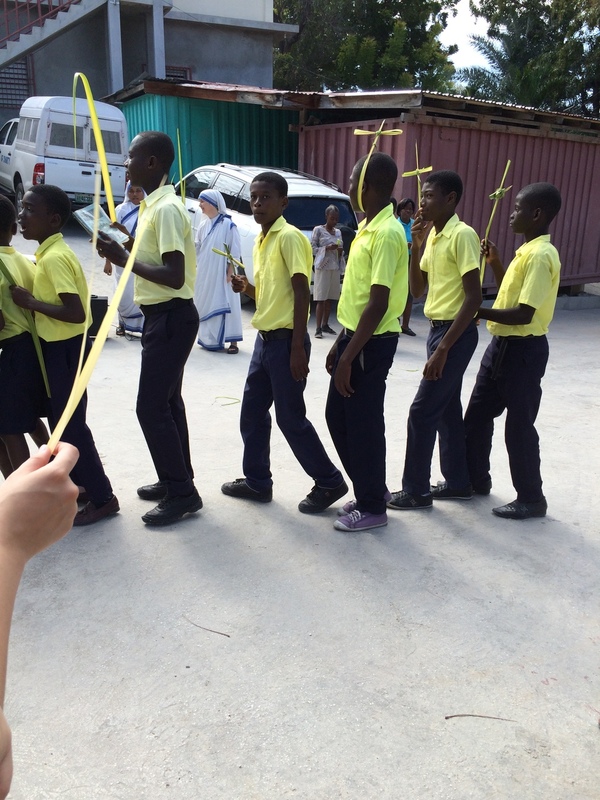 We also had the privilege to worship with Mother Teresa's sisters every day, to walk through Port-au-Prince in the Palm Sunday procession, and to celebrate the Triduum with our Haitian brothers and sisters. 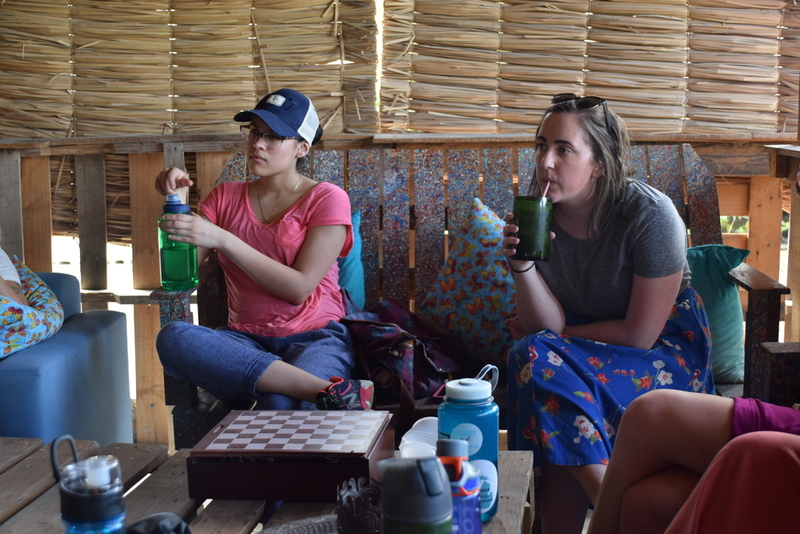 The students who went offered a series of reflections on their experiences and the profound impact the trip had in their lives. This trip showed me that if you have Jesus you are richer than you could ever imagine and if you have Jesus you have everything you need. This trip was a slap in the face of the blessings I take for granted, as well as the enormity of God’s love that I haven’t appreciated. 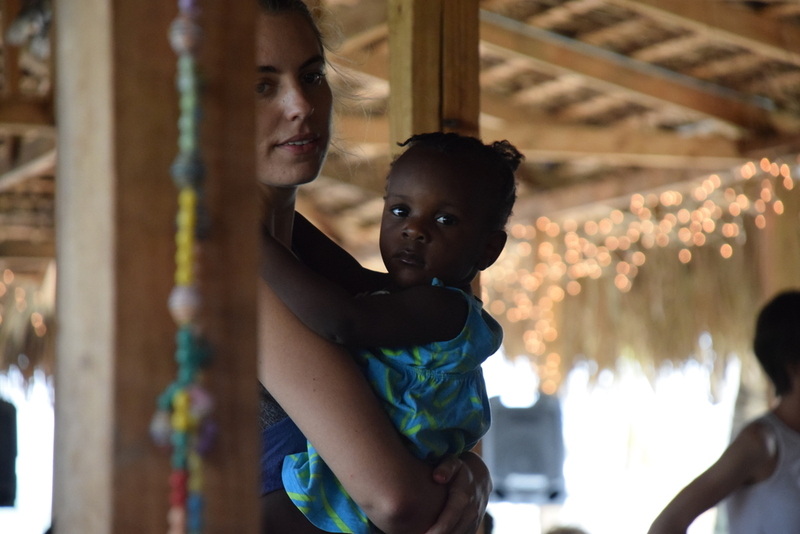 The Haiti trip encapsulates the essence of faith, friends, learning, and serving by meeting with the most unbelievable and inspiring people, and having some of the most humbling experiences that at the end of the day brought us all closer to one another and Christ. This trip not only broadened my vision of the Church, letting me experience the universality of the Church in a way that will remain with me forever, but it also opened my heart to the most vulnerable among us, helping me to better understand the inviolable dignity of the human person. 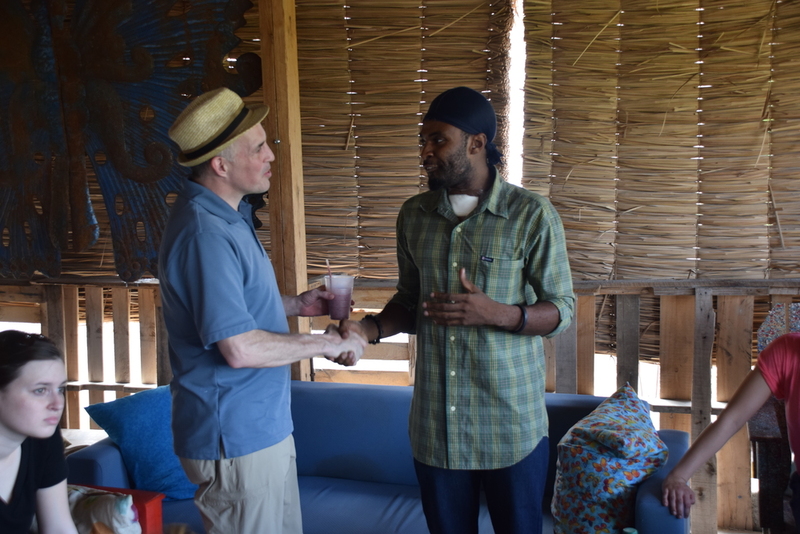 Thanks to Haiti, I’ve become more at peace with myself and hold more good thoughts for not myself but for others as well. This trip had a profound impact on the way that I view the world from the standpoint that these incredibly beautiful people who have almost nothing are still able to work as a community and lend a helping hand when someone is in need. I have a greater appreciation for the many blessings/struggles in my life and I have gained knowledge about more effective aid to countries in need. 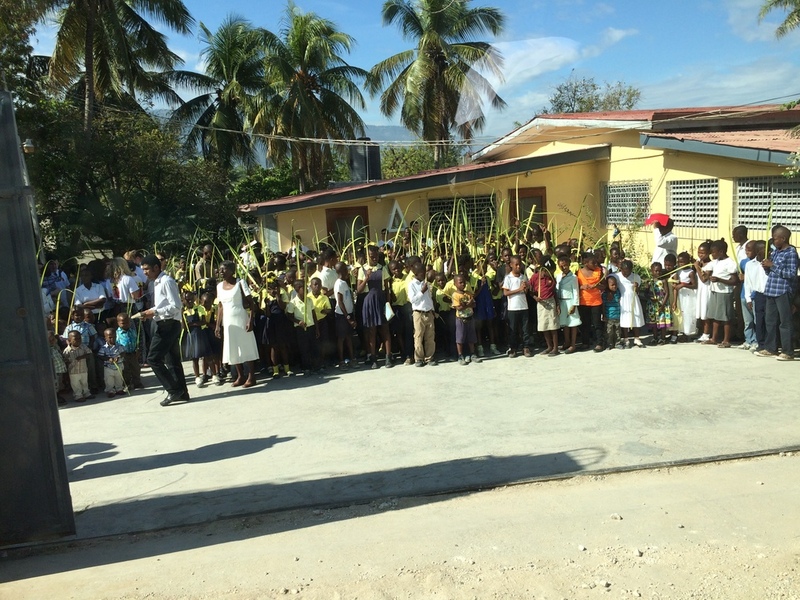 My time in Haiti was entirely eye-opening for me as to the incredible privileges that I have in my own life, the great needs of the world that echo Christ's thirst on the cross and call of each one of us to service, and the universal community that we have through fellowship in one Catholic faith. One highlight for me on the trip was having Monsignor Pierre Andre Pierre washing Dr. Page and my feet. Not only was the washing of our feet truly a humbling experience, but after he washed them he came back to us. He looked me in the eye and said “God Bless” and finished with a big hug. It was at this moment when I realized that this man is filled with Christ.It felt as if I was in the presence of a Saint. It was a beautiful sight and words cannot describe it. I will always remember that hug and that moment. When we visited the Missionaries of the Poor, I had the privilege of helping to bathe some of the severely disabled children while others in our group played with other, less disabled, kids. Despite my plans of pursuing a career in medicine, I have very limited experience physically caring for anyone other than myself, and at first I felt very intimidated by the intimacy of helping wash, dry, and clothe a dozen children, whose names I was never even told. After the nurse bathed a child in a tub of soap and water, she would place the shivering, often whimpering child on a table in front of me, where I would dry them with a towel, put a diaper on them, and dress them in the outfits that another nurse laid out for me. 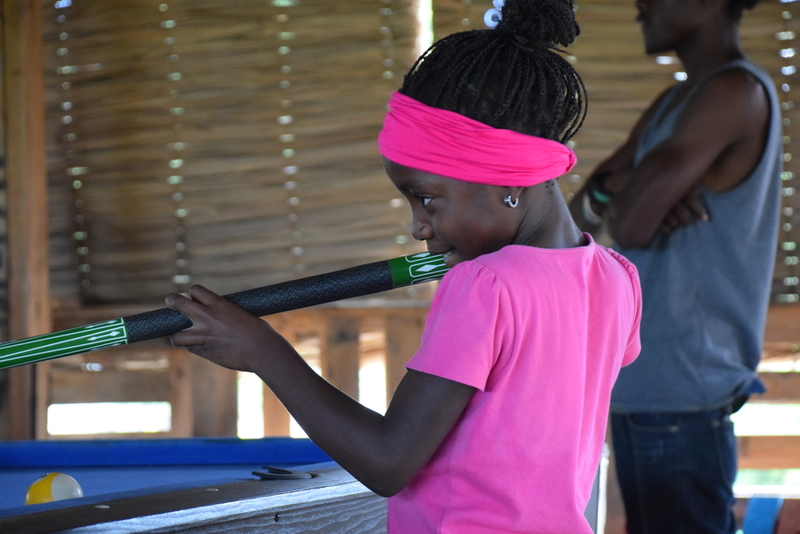 As I did this and attempted to playfully talk to the children to cheer them up, I was overwhelmed by the joy that they exuded as they were clothed, comforted, and their fear and feelings of vulnerability faded away. Many of them laughed as I picked them up after having dressed them and moved them to their crib or wheelchair. By the time I was placing the final child in their crib, I was moved to tears remembering Matthew 25:40 "whatever you do to the least of these, you do to me." I had literally clothed the naked and held a vulnerable child, a child made in God's own image who by our world's standards is the least among the people, and my understanding of my dependence on the Lord suddenly made so much more sense than ever before. I will truly never forget the experience I had and the lesson I learned about the simplicity of human dignity that afternoon with the Missionaries of the Poor. The Apparent Project was a beautiful workshop, store and cafe that displayed many forms of entrepreneurship. It was so inspiring to see people come together for a blood drive hosted by the Apparent Project. Going to the Missionaries of the Poor on Thursday was one of my highlights of the trip. It was awesome praying with the bothers there and helping them clean and make beds. However, the best part was being able to hang out with a little boy who was blind and in a wheelchair. He was so joyful! And every time I would spin him around in his wheelchair or tickle his neck he would lean back and burst out in laughter. It was so fun and inspiring to see his joy! It was also a very humbling experience feeding the children there. I had a very difficult experience when we went to an orphanage for disabled children. When we were given a tour, we were led to a room where two little boys with cerebral palsy were lying in a bed together. One of the little boys was moaning and didn’t notice it at first, but at a closer glance I realized that they were covered in flies. I walked over and brushed the flies off and later returned to sit on the bed with them. I didn’t hold either of them because I was scared to hurt them because they both looked so frail. I just sat there and stroked their arms and brushed away the flies. Neither of them said a word, but one looked at me and smiled. It wasn’t the full healthy smile that I’d been so accustomed to seeing on the kids in Haiti, it was more of an attempt at a smile like he was trying it out for the first time. In that moment I was unbelievably frustrated and I wanted to do all I could to make these kids comfortable and happy. I wanted to be able to feed them and give them all the love they deserved but all I was capable of doing at that moment was stroking their arms. The little boy smiled at me a second time, a more self-assured smile and I realized that where I can’t, God can. In that moment I didn’t have the power to fix the brokenness in front of me, but I could show love and trust in God to help where I can’t. On one of our last days we went to the Missionaries of the Poor where there is home for the mentally and physically disabled. The home had mostly children, but the brothers explained that when people are there, they are there for life. One of the things we did there was help feed the children lunch. A woman gave me a big bowl of some kind of rice porridge and motioned to a boy lying in a crib nearby. One of the brothers came by and told me that the boy’s name was Mario. I wasn’t quite sure how to feed Mario at first. He looked like he was maybe six or seven, and didn’t seem to really be able to use his arms and legs. Eventually he opened his mouth wide enough for me to just put the spoon in and see what he did with the food. He ate it, and I gave him more. For probably half an hour I stood there with a big bowl of porridge, watching Mario slowly chew each spoonful. I talked to him even though he couldn’t understand me or communicate back. But I kept talking and waiting for him to finish each mouthful, smiling at him and wiping up when food fell out. I couldn’t get over how happy he was. I know I was the one giving him physical food, but he was the one with the real gifts. He gave me an understanding of vulnerability that I’ve never known before, the purest example of faith, and best of all a look into the face of Christ hidden in his crippled bones. The Orphanage of the Missionaries of Charity was the first of many events that cracked my harden shell and left me feeling vulnerable and exposed. Every detail within the orphanage stirred up feelings with a new degree of intensity that in that moment I was unsure how to comprehend them. The moment I looked into the eyes of the first child, I felt my body clench up. It pained me to see a child no more than two years old already carrying such a heaviness of sadness in their eyes. At that moment, I finally understood what it meant when people said that the eyes were the windows to the soul. Immediately I wanted to hold the child, and hoped that within my arms he could feel all the love I had for him. I noticed that many of the children showed no desire to be held when I stuck my arms out. They felt distant and withdrawn, however when I did pick them up, they clung onto to me like their life depended on it. I can only guess how many times they have been picked up to be put down by people who end up leaving them. The turmoil I felt caused by this simple small room of children gave me light as to how important it is to always show love and how wasteful it was to ever show anything but it. These children show me how to never be ungrateful for the love I receive from my family, friends and even strangers. It doesn’t matter if you know the person or not; the importance lies in acknowledging the other person as human and as a child of God that deserves love regardless of any other titles he or she holds. Love, at least to me, is what holds the most value in this world. Aside from all of the silliness that ensued within the group thought the week one of the most profound moments for me was while playing with some of the toddlers at the orphanage and how incredibly kind and giving they were with everything they had from toys to the snacks that they were given. My heart instantly broke when in the midst of playing with some of the little boys I looked over to see a girl, no older than 3 or 4 years old, rocking and consoling a little boy who was upset. The magnitude of this moment extended far beyond her kind gesture but the fact that in having nothing she was still able to give of herself to comfort someone else. Jack Mulder, co-founder of the Saint Benedict Forum and chair of Hope College's Philosophy Department, discusses his journey from the Reformed Church of America to the Catholic Church on EWTN's Journey Home with Marcus Grodi. The Saint Benedict Forum was pleased to partner with their friends at Hope College's Tocqueville Forum to bring Chad Pecknold to campus on Thursday, April 7th, to speak on “Freedom for Truth: The Fate of Religious Liberty in Liberal Orders.” You can watch Dr. Pecknold's astute talk below. C.C. Pecknold, PhD (Cambridge) teaches historical and systematic theology in the School of Theology and Religious Studies at The Catholic University of America. He is the author of Transforming Postliberal Theology (T & T Clark 2005), Christianity and Politics: A Brief Guide to the History (Cascade 2010), and has edited several volumes of essays, including the forthcoming T&T Clark Companion to Augustine and Modern Theology (T&T Clark 2012) with Tarmo Toom. As Catholics and Christians, how are we to think about and care for the environment? On April 6, 2016, Omar Gutierrez addressed this question as he meditated on the themes of Pope Francis' latest encyclical, Laudato Si'. 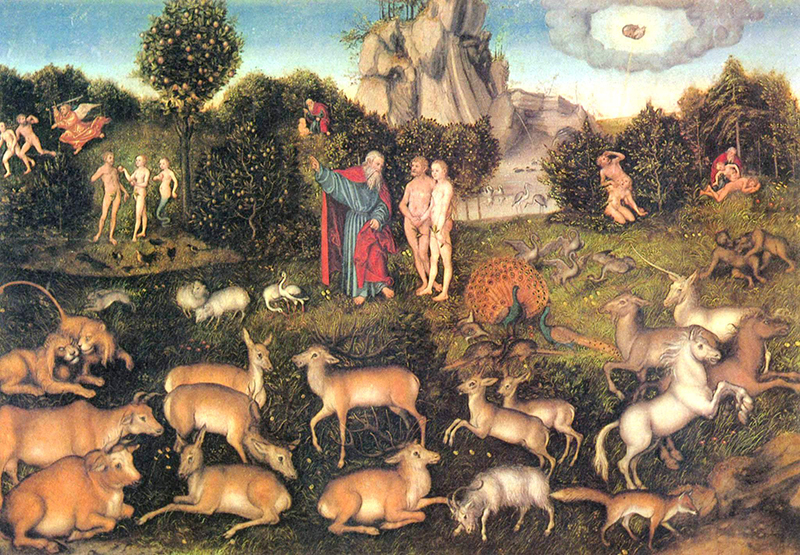 You can watch his excellent talk, "Praise Be to You, My Lord: How Christians Should Think about the Environment" below. Omar F. A. Gutiérrez has worked for the Church since 2001. Currently, he is the Special Assistant to the Archbishop of Omaha, George J. Lucas, and the Manager of the Office of Missions & Justice handling international missionary efforts and their funding, grants for charitable works, poverty-reduction programs, as well as formation in Catholic Social Teaching within the archdiocese. A graduate of Franciscan University of Stuebenville with a BA in Theology, Omar then studied at the Pontifical University of St. Thomas Aquinas in Rome (the Angelicum) and completed his MA in Theology from the University of Dallas. His Master’s thesis applied John Henry Cardinal Newman’s marks of authentic development of doctrine to the Second Vatican Council’s Declaration on Religious Liberty. Omar is a sought-after speaker on the social teaching. He has a weekly program through DiscerningHearts.com which is aired on Nebraska’s Spirit Catholic Radio entitled “Regnum Novum: The New Evangelization through Catholic Social Teaching,” and he is a regular guest on various other programming for the radio station. Omar has been published in a number of print and online magazines and newspapers including The Catholic Answer, the National Catholic Register, Catholic World Report, CatholicVote.com, HLI’s Truth and Charity Forum and he has a regular column, “Charity in Truth”, in the Archdiocese of Omaha’s paper The Catholic Voice. His first book, The Urging of Christ’s Love: The Saints and the Social Teaching of the Catholic Church was release in October of 2013. Omar’s writings can be accessed through his website omargutierrez.com. Most importantly, Omar is happily married to his wife Miriam, and they are very blessed by their four children. His hobbies include watching Cleveland Indians baseball and lamenting the same. Event Co-Sponsored by the Religion Department, Environmental Studies Program, Geological and Environmental Sciences, the Corpus Christi Foundation, and the Our Sunday Visitor Institute. Film Screening and Discussion of Poverty, Inc. Along with 15 other student organizations, academic departments, and programs at Hope College, the Saint Benedict Forum invites you to join us for a screening of the thought-provoking and award-winning film, Poverty, Inc.
Saturday, April 2, 2016 7:00 p.m. Focusing on the worldwide "poverty industry," the film asks some hard questions about the West's involvement in international poverty alleviation, including whether some of our methods of helping might actually be hurting those experiencing poverty. We hope you will consider attending and perhaps suggest the same to others by forwarding this email or inviting them to the screening through this Facebook event page. Following the film, a faculty panel comprised of Dr. Virginia Beard (Political Science), who specializes in the policy and politics of Africa, and development economist Dr. David Phillips (Economics and Business) will lead off an audience discussion of the film and how Christians might respond to the issues it raises. Contact Professor Sarah Estelle (estelle@hope.edu), director of Hope's Markets and Morality student organization, with any questions. We hope to see you on April 2 for what is sure to be a memorable and edifying community event! Everyone is invited to a screening of the powerful film, Desire of the Everlasting Hills, an intimate portrait of three Catholics who try to navigate the waters of self-understanding, faith, and homosexuality. This event is part of our series, "Gay and Christian: The Conversation Continues." Sr. Miriam James Heidland, SOLT, rocked Hope College campus this past week with a series of inspiring talks, workshops, and simply with her joyful and evangelical presence. The Saint Benedict Forum is pleased to host an ecumenical symposium, "Gay and Christian: Exploring Friendship, Vocation, and Celibacy." Eve Tushnet, Wesley Hill, and Joshua Gonnerman will all be speaking at this timely event. The symposium is free and open to the public. Dawn Eden on Chastity, Duncan Stroik on Architecture for the Poor, Anthony Esolen on the Liberal Arts, Spiritual Friendship authors on being gay and Christian, Sr. Miriam James Heidland on hope...check out our upcoming events. Copyright Saint Benedict Institute. All Rights Reserved.